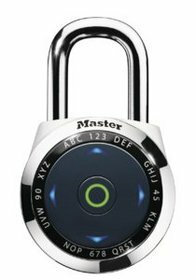 Master Lock is the world's largest manufacturer of padlocks and related security products providing innovative security solutions for home, automotive, campus, power sports, bike and storage security needs for consumers and industry alike. Master Lock Company LLC is an operating unit of Fortune Brands Home & Security, Inc., a leading consumer brands company. Headquartered in Deerfield, Ill., Fortune Brands Home & Security, Inc. (NYSE: FBHS) is included in the S&P MidCap 400 Index. For more information about Master Lock, seewww.masterlock.com. Beginning today through September 28, consumers can visitwww.mastercombochallenge.com to participate in the "Master Combo Challenge" game for a chance to win gift cards, Master Lock products and more. The game asks participants to answer a variety of Master Lock and campus security trivia questions to earn sweepstakes entry points. All participants can then advance to the bonus level to play a timed lock animation game to earn additional points that garner sweepstakes entries. Sweepstakes winners will be selected at random from all eligible entries. Consumers can also enter the promotion through the "#Lock in a Laptop" contest, for a chance to win a package that includes a laptop, printer, gift card and Master Lock products. The photo contest, #lockinalaptop, invites visitors to snap a creative shot of their Master Lock product, digitally edit it if desired and upload it to the website where others can vote for it, elevating its rank in the gallery. The contest winner will ultimately be determined through a review by a panel of judges. Locks can be purchased at a variety of retailers and e-tailers nationwide, with some models available through masterlock.com. For more information about the sweepstakes and contest, additional safety tips, and more product recommendations, visit the Master Lock website at www.masterlock.com or visitwww.mastercombochallenge.com. NO PURCHASE NECESSARY. Making a purchase will not improve your chances of winning a prize. The contest and sweepstakes begin July 9, 2012 and end September 28, 2012. Must be a permanent lawful resident of the 50 United States, District of Columbia ("D.C.") or Canada, excluding Puerto Rico, other U.S. territories and Quebec. Must be 13 or older at time of entry (Maine residents must be 18 or older). Minors must obtain their parent's or legal guardian's permission before entering. Void where prohibited by law. Internet access required. Starting July 9, 2012, visit www.mastercombochallenge.com for the complete Official Rules (by which all entrants are bound) and for full entry/prize details.Sponsor: Master Lock Company LLC, 137 W. Forest Hill Avenue, Oak Creek, WI 53154. Disclosure~I am sharing this post as a entry into a contest for a Master Lock back-to-school prize pack as a member of the Mom Bloggers Club.